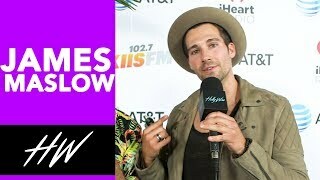 Big Time Rush's James Maslow Talks New Music! 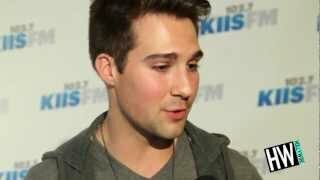 JAMES MASLOW Dishes on Flirting Over Text !! JAMES MASLOW Gives us a SINGING TUTORIAL and Talks Dancing with the Stars !! James Maslow won the Macy's iHeart Radio's ring star award! James loves Justin Timberlake and is excited to see him perform. He met his favorite dj Benny Benassi, who remixed his song 'All Day.' 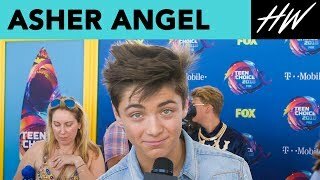 He also got to host at iHeart and interview other celebrities that are performing at the festival. He and his dad will be on a new show called "50 Ways To Kill Your Mother" which is a major adrenaline rush!